1. Attendance: Tom Hall, President; Ken Weigand, Vice-President, Dave Miller, Treasurer, Dan Ross, Secretary, and Tracy Rhoads, IT Manager. Board Members: Mike Walsh, Lin Manning, Lew Gage, and Terry Matter, RARA Representative. Guests: Mike Dikun, Reno-Stead Airport Manager, Alby Redick, Aviation Classics LTD CEO, Doug Ritter, Reno Aviation Museum, Tina Iftiger, VP RTAA Economic Development, Stacie Huggins, RTAA Economic Development, and Bill Eck, RTAA Representative. Member(s) absent: Don Osborne. 2. Minutes: Minutes of the December 11, 2012 meeting were unanimously approved. 6. Airport Manager’s Report: Attention is now focused on snow removal and snow removal equipment maintenance. Mike estimates that Stead is no more than 8-10 hours from full operation after a normal snowfall of 6-10 inches. Again, just as a reminder, current snow removal priorities are as follows: Fire lanes, runway 8/26, taxiway Alpha, taxiways between hangars, runway 14/32, taxiway Bravo, in that order. Again as a reminder, the entry gates to Stead now have the new computer-operated card lock system installed. The change over from the metal “dog tag” key is scheduled for a 6 month period ending in the March 2013 timeframe to give all tenants ample time to trade their metal key for or rent a key card. During this 6 month period, both keys, the metal key or the card, will open the gates. After the 6 month exchange period expires, only the card will remain functional. For those with metal keys, there is no charge for the exchange. For those without metal keys or lost metal keys, there is a one-time refundable charge of $25. Key cards are now available at the Airport Manager’s Office. Please report any difficulties with gate operations to Mike. Mike reported that the SNC Twin Otter has completed the project testing and has departed Stead. Mike is soliciting recommendations for Taxiway C. He needs to know the tenants thoughts for repairing or permanently closing the taxiway. Mike says to repair the taxiway would require strong arguments and increased usage by pilots to justify remaining on the 5-year ACIP document. See Mike for more info and to offer input on the subject. EOC/Terminal Building redesign costs are under the maximum costs set by the RTAA Board of Trustees. 7. 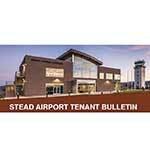 Stead Liaison Report: Bill Eck: Mr. Eck said the new Stead Terminal Building is on schedule and bids are on target. Bill said he has made a decision to remain on the Board of Trustees for another four years. He thanked the SAUA BODs for their support for the EOC/Terminal Building. Additionally, Bill said the efforts to bring UAV development to Stead is moving ahead. (For a complete list of current Trustees and their bios, go to www.renoairport.com/airport-authority/board-trustees). 8. Special Guests: Doug Ritter, Aviation Museum. Doug said the Truckee Meadows Community College is working on implementing an A&P curriculum in the Industrial Arts program. 9. 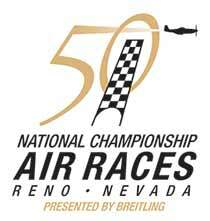 RARA Report: Terry said the 50th Anniversary of the Reno Air Races will be September 11-15, 2013 and tickets are already on sale. Pylon Racing School will be June 12-15, 2013 and he is expecting a larger attendance for the 50th Anniversary PRS. 10. IT Report: Tracy gave a summary of the SAUA website activity. 7 articles were published, deleted 38 SPAM users, 537 total visits with 1.52 average duration, averaged 2 pages visited. 85 of the visits were by mobile devices. There were 1067 total page views: Home page 250, Forum 143, For Sale 116, Aviation Scholarships 47, Airport Business 25, Meet Members-Mike Dikun most popular at 22 and Tom Hall second most popular at 15 visits. Don’t you just love website stats? 11. General Discussion: The Board had voted to expand the SAUA BOD to twelve members in last December’s meeting. During this month’s meeting the BOD discussed changing the name of your association and has decided on a new name to better describe what your Reno-Stead Aviation Association does. More info as it becomes available. Tom reiterated that Airport Authority Board Trustees and Staff are always welcome and encouraged to attend the monthly SAUA meetings as are all association members and tenants-at-large. The next Pathways to Aviation presentation is scheduled for April 17, 2013 at UNR. The next General Membership and Safety meeting is scheduled for TBD, location TBD. 12. 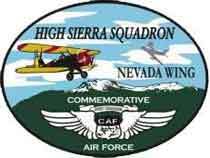 Next Meeting: February 12, 2013, 5:15p at the Reno-Stead Airport Managers Office. 13. Adjournment: The meeting was adjourned at 6:30p. To represent the interests of all Tenants on the Reno-Stead Airport including Aircraft Owners, Fixed Base Operators, Aircraft Repair Facilities, United States Government Agencies and all parties of interest; To ensure that all Tenants have the opportunity to speak with a united voice to the Reno Tahoe Airport Authority (owner of the airfield facility), the Federal Aviation Administration and the Local Governments relative to safe and affordable flying in Northern Nevada; To enrich and promote the reputation of General Aviation within our community; and To promote a “GoodNeighbor” policy with the Nevada National Guard, support facility improvements that enhance the Tenant experience and encourage affordable services, fuel prices and hangar rentals for all service providers operating at the Reno Stead Facility.